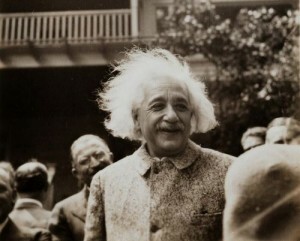 Albert Einstein was born in Ulm, Germany on March 14, 1879. As a child, Einstein revealed an extraordinary curiosity for understanding the mysteries of science (started only at age 10/11). 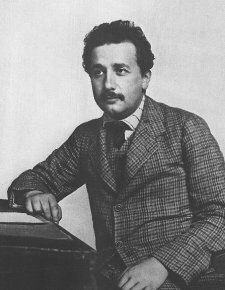 A typical child (only to his socio-economic class — educated middle class), Einstein took music lessons, playing both the violin and piano — a passion that followed him into adulthood. Moving first to Italy and then to Switzerland, the young prodigy graduated from high-school in 1896. Ten years later, in 1915, Einstein completed his General Theory of Relativity and in 1921 he was awarded the Nobel Prize in Physics (iconic status cemented in 1919 when Arthur Eddington’s expedition confirmed Albert Einstein’s prediction). It also launched him to international superstardom and his name became a household word synonymous with genius all over the world.